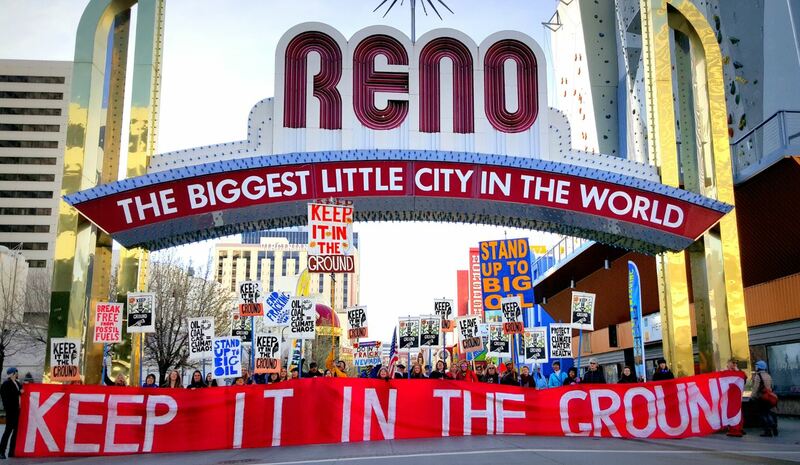 A small group of Nevada lawmakers – backed by California billionaire Tom Steyer in the last election – are pushing bills to ban fracking and impose a massive new renewable energy mandate on the state economy. The bills follow a major investment in Nevada politics by Steyer, a huge contributor to environmental activist groups and the largest single political donor to federal candidates of the past two election cycles. Steyer’s spending in a hotly contested U.S. Senate race was widely reported, but his involvement in the battle for control of the Nevada state legislature went largely unnoticed. 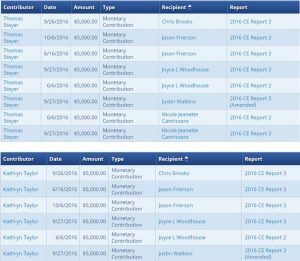 Nevada campaign finance records show Steyer and his wife, Kat Taylor, personally contributed $70,000 to five state legislative candidates – all Democrats – in the 2016 election. Those candidates were Assembly Speaker Jason Frierson, Assemblyman Justin Watkins, Assemblyman Chris Brooks, state Senator Joyce Woodhouse and state Senator Nicole Cannizzaro. Their victories helped Democrats wrest control of the state legislature away from Republicans, who had been in the majority since 2015. Today, Watkins and Brooks are pushing a bill – AB159 – to ban hydraulic fracturing, or fracking, an essential technology for developing oil and natural gas. The two state lawmakers are also primary sponsors of AB206, a bill that would set a renewable electricity mandate for Nevada of 50 percent by 2030, with a longer-term goal of 80 percent by 2040. Frierson, the speaker of the Nevada Assembly, is also primary sponsor of the renewable bill. Steyer has called for a fracking ban in his home state of California. He is also a major donor and a key ally to “keep it in the ground” groups like 350.org and the Sierra Club. On the campaign trail last year, his political action committee, NextGen Climate, pushed candidates to support a 50 percent renewable mandate by 2030. In fact, according to the New York Times, supporting the mandate was a condition of the billionaire’s financial support. Aside from a few political insiders, almost nobody knew that Steyer was part of the effort to win back control of the state legislature for Democrats, Ray Bacon, executive director of the Nevada Manufacturers Association, told Western Wire. “It never got much traction in the press or with the public,” he said. Instead, public attention was focused on the U.S. Senate race between Republican Joe Heck and Democrat Catherine Cortez Masto, he said. According to the Center for Responsive Politics, Steyer’s NextGen Climate was a major player in the Senate race, which Cortez Masto won. Steyer spent almost $420,000 against the Republican and $290,000 boosting the Democrat in the contest to replace former Senate majority leader Harry Reid. Campaign finance disclosures with the Federal Election Commission (FEC) also show that Steyer built a significant ground game in Nevada. NextGen Climate spent roughly $260,000 on almost 50 campaign staff during the 2016 election cycle, according to FEC data. The bill to ban hydraulic fracturing for oil and gas faces an uphill battle, even in a Democratic legislature, Bacon said. For starters, the bill would have to be signed by the state’s two-term Republican governor, Brian Sandoval, to become law. But bipartisan support for developing Nevada’s natural resources has thwarted anti-fracking proposals before, he said. In 2013 and 2014, when Democrats last controlled the Nevada legislature, a campaign to ban fracking fell flat. 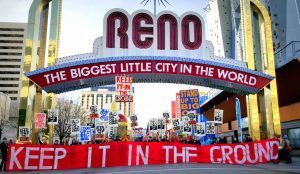 Led by the Center for Biological Diversity, a national “keep it in the ground” group, activists pushed for a ban, then tried to derail a bill that would allow modern drilling and hydraulic fracturing techniques in Nevada under a new set of regulations. But the bill to allow fracking passed with overwhelming support from Democrats and Republicans. It cleared the Assembly in a 41-0 vote and passed the Senate 21-0 before it was signed into law by Sandoval. “It’s basically a common opinion among the regulators that hydraulic fracturing is a very safe process,” Lowell Price, manager of oil, gas and geothermal programs at the Nevada Division of Minerals, said during the debate in 2013, according to the Elko Daily Free Press. Historically, Nevada has only produced small volumes of oil and natural gas but the development of new technologies has spurred interest in exploratory drilling in parts of the state, said Bacon with the Nevada Manufacturers Association. “It looks like there’s some reasonable potential,” he said, noting that low commodity prices slowed the pace of exploration during the past few years. The introduction of a bill to ban fracking was somewhat surprising, he said. “I think it was dictated from afar that we needed an anti-fracking bill because Democrats have control, but I’m not sure that there’s any passion about doing the thing,” he said. The bill to dramatically expand Nevada’s existing renewable electricity mandate of 25 percent by 2025 also faces significant challenges, but it’s possible an amended version with lower targets could pass, Bacon said. The bill to ban fracking received a hearing on Feb. 21, which generated significant local and national media attention. “No amount of regulation can eliminate the harmful effects on human health of fracturing,” Watkins, the Democratic assemblyman, told the hearing, according to USA Today. In response, Nevada’s Mineral Resources Commissioner John Snow rejected the lawmaker’s claims. “Our current regulations meet and exceed all the best practices in the industry and allow the United States to continue to move forward on energy independence,” Snow said, according to the Nevada Independent. Snow told the hearing five wells have been developed in eastern Nevada using modern hydraulic fracturing technologies since the state’s regulations were updated. So far, just one of those wells is actively producing oil, he said. Nevada is not the only western state Steyer has targeted in recent years. In 2014, he backed Democrats in state legislative races in Washington and Oregon. 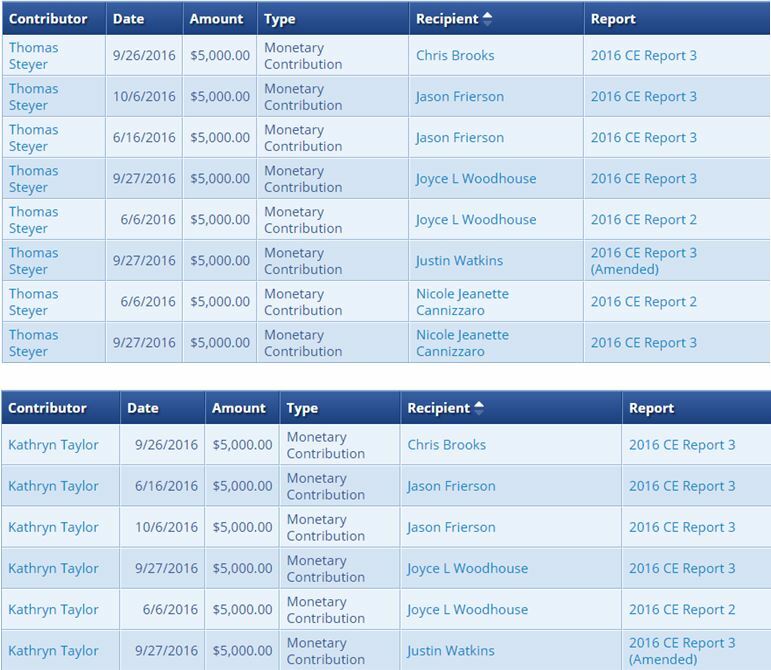 Last year, in Colorado, Steyer’s NextGen Climate also donated heavily to a failed campaign to put Democrats in full control of the state legislature. Steyer is also a senior member of the Democracy Alliance, a network of wealthy liberal donors that seeks to “take power in the states” as well as in Washington, D.C., according to the Washington Post. Simon Lomax is the managing editor of Western Wire. A former wire-service and trade-press reporter, he now works in Denver as an adviser to pro-energy and free market groups.